8th mayor of the District, born in Alexandria, VA shortly after his parents arrived from England. He was first a printer and later bought a bookstore on F St. N.W. During the British invasion of 1814 he was a 1st Lieut. in D.C.’s Light Horse Calvary. He was elected mayor in 1824 to fill out the term of Smallwood who died suddenly. 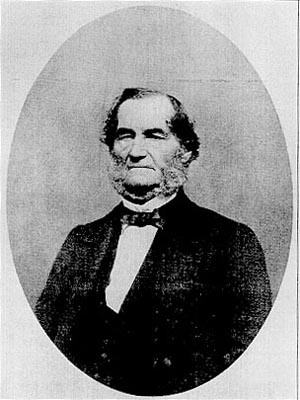 He was elected to a second term in 1826. After leaving office, Weightman served as Cashier of the Bank of Washington and later as Chief Clerk at the Patent Office. 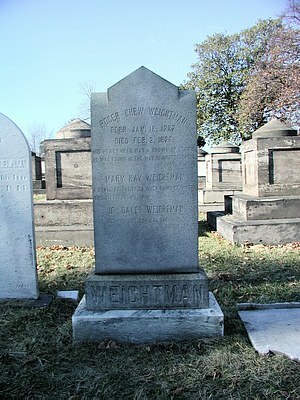 Weightman was a wealthy and prominent member of Washington society who regularly served on prestigious committees as well as a trustee of cultural institutions such as the Smithsonian. 23rd and M Street N.W. Built in 1886, Razed 19??. Built as a public school, later it was known as the Weightman School for Crippled Children. Eleanor Roosevelt was one of its most ardent supporters.